The two Koreas and the US-led United Nations Command began talks Tuesday on demilitarising a section of the heavily fortified border dividing the peninsula, as a diplomatic thaw gathers pace. “The first meeting between the South, North and the UNC on disarming the Joint Security Area (JSA) will take place at 10am today at Panmunjom,” Seoul’s defence ministry said in a message sent to reporters. It was a designated neutral zone until the “axe murder incident” in 1976, when North Korean soldiers attacked a work party trying to chop down a tree inside the Demilitarised Zone (DMZ), leaving two US army officers dead. South and North Koreawhich are technically still at waragreed to take measures to ease military tensions on their border at a meeting in Pyongyang last month between President Moon Jae-in and Kim Jong Un. 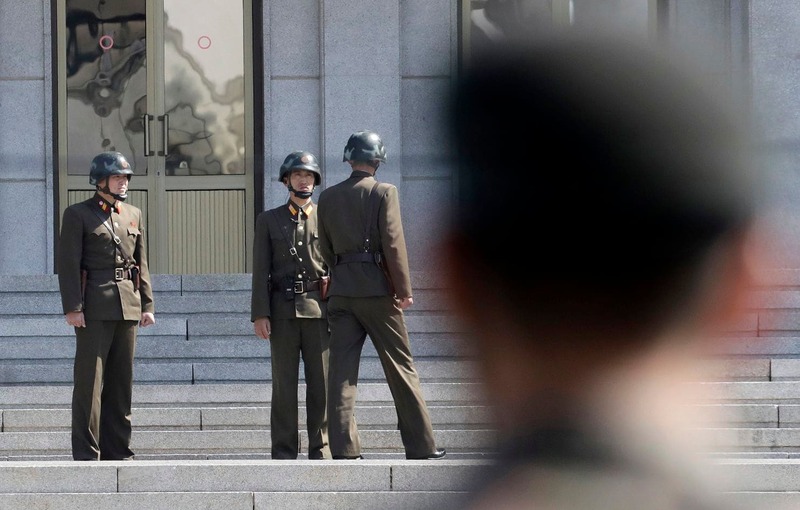 Earlier this month, the two sides began removing landmines at the JSAwhich is now often used for talks between the two Koreasas part of the deal, and are due to withdraw “unnecessary” surveillance equipment once the landmine work is completed. Moon has advocated engagement with the isolated North to nudge it toward denuclearisation. Tuesday’s talks were the first meeting of a trilateral JSA commission made up of the two Koreas and the UN Command, which is included as it retains jurisdiction over the southern half of the JSA. But he added that as commander of the combined US-South Korean forcesone of his other roleshe felt there was a “reasonable degree of risk” in Seoul’s plans to dismantle guard posts near the DMZ.